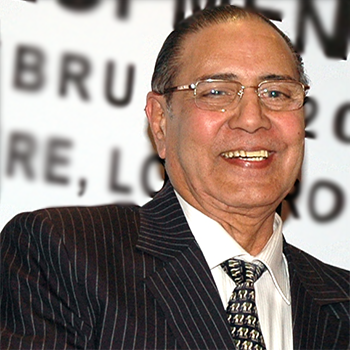 Mr. D C Pant has been in the ‘business’ of Education for past more than 50 years. Commencing his innings as a Lecturer in Post Graduate Colleges in Rajasthan that was followed by an overseas assignment as an Education Officer in Tanzania, he finally switched over to University administration- first in a State University, then in a Central University and lastly in the National Open University as Planning Officer, Dean of Colleges, Controller of Examinations, Finance Officer, Registrar, Director, Advisor and Pro Vice Chancellor (two terms). He has held membership of a number of Professional and Academic bodies of reputed Institutions of Higher Education– some of which are continuing still. At National as well as at International level, he was responsible for inducting innovative approaches in Management and Administration of Universities besides introducing ‘Computer Culture’ in the conduct of examinations and assessment of over a million students per year. Mr. Pant is well conversant with English, Hindi, Punjabi, Gujarati and Kiswahili and has been to London, Tokyo, Hong Kong, Bangkok, Kuala Lumpur, Dubai, Oman, Kuwait, and Lagos on official assignments besides touring Kenya, Uganda and Tanzania extensively. A holder of double Master’s Degree in Zoology and Fishes, he has to his credit three publications dealing with Distance Education, Financial Codes of two Central Universities and a few articles on different aspects concerning Management of Higher Education Institutions.